Zack Snyder recently revealed that he was stepping back from the Justice League film because of a personal tragedy. But there is one good thing out of all of this! 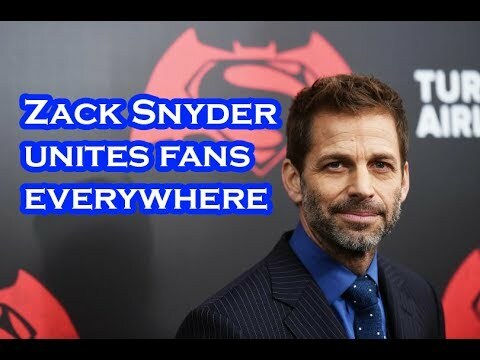 Superhero fans, from DC to Marvel, and even critics of Snyder are coming together to support Zack Snyder and his wife. Also, if you’re worried about the Justice League movie, Joss Whedon will be taking over from here. We sadly learned that Snyder’s daughter, Autumn. In response to this tragic news, fans around the globe are pouring in their support through artwork and graphics that really send home the message – WE ARE WITH YOU ZACK SNYDER. These circumstances show us all that nothing is more important than love, sympathy, and human compassion. Snyder was originally planning on keeping matters private but decided ultimately otherwise.